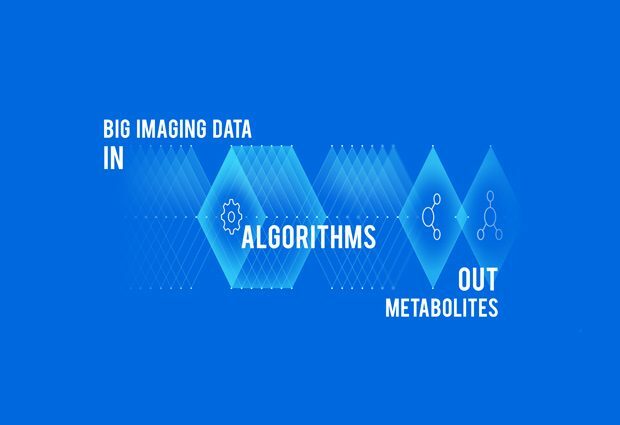 Scientists in Theodore Alexandrov’s lab at EMBL have developed the first bioinformatics framework for finding metabolites in large datasets from imaging mass spectrometry. The framework and open-source software, published today in Nature Methods, mimic how people manually analyse such data, but is unbiased, and a million times faster than a human. To create it, the EMBL scientists had to develop a way to estimate false discovery rate – the percentage of molecules identified in a mass spectrometry experiment that are not actually in the sample. This was a first not just for spatial metabolomics, but also for metabolomics in general. Having an estimate of false discovery rate incorporated in the system is crucial for anyone wanting to compare the results of experiments conducted in different labs, or across different species. The software is already being used by Alexandrov and collaborators in the EC-funded consortium METASPACE. The scientists are working with Christoph Steinbeck’s team at EMBL-EBI so that the raw imaging data uploaded to the MetaboLights repository can be annotated with information about what molecules it contains. This would make it easier for biologists to extract the information that’s relevant to them from such datasets. Alexandrov’s team is also collaborating with several major pharma companies to integrate this new method into their drug discovery workflows.